I've been wanting to do quilled wedding cake toppers for a year or so but have never actually sat down and finished one. With wedding season upon us I thought I better focus and get something created. 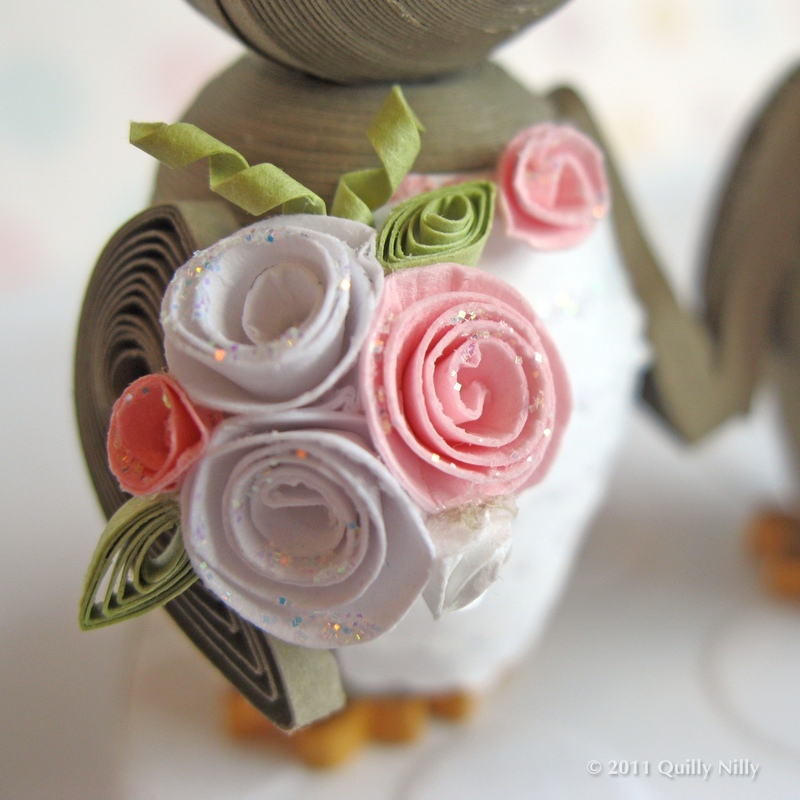 I had started a birdy topper many months ago, but thought I'd go with my owls since I've worked on them more recently. Over the past 3 nights I worked on my owl topper and I'm so happy with it. I've posted it in my Etsy shop, it's completely customizable to match different wedding themes and colors. oh my these are so adorable. 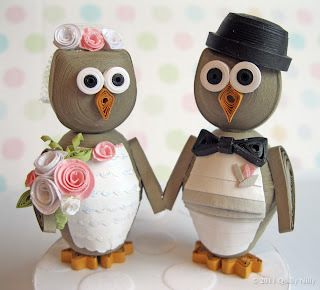 A lot of brides come into the store I work at and I have had it in the back of my mind to make some toppers but nothing like these cuties. I love it. It is so nice. I'm sure you are proud about it. 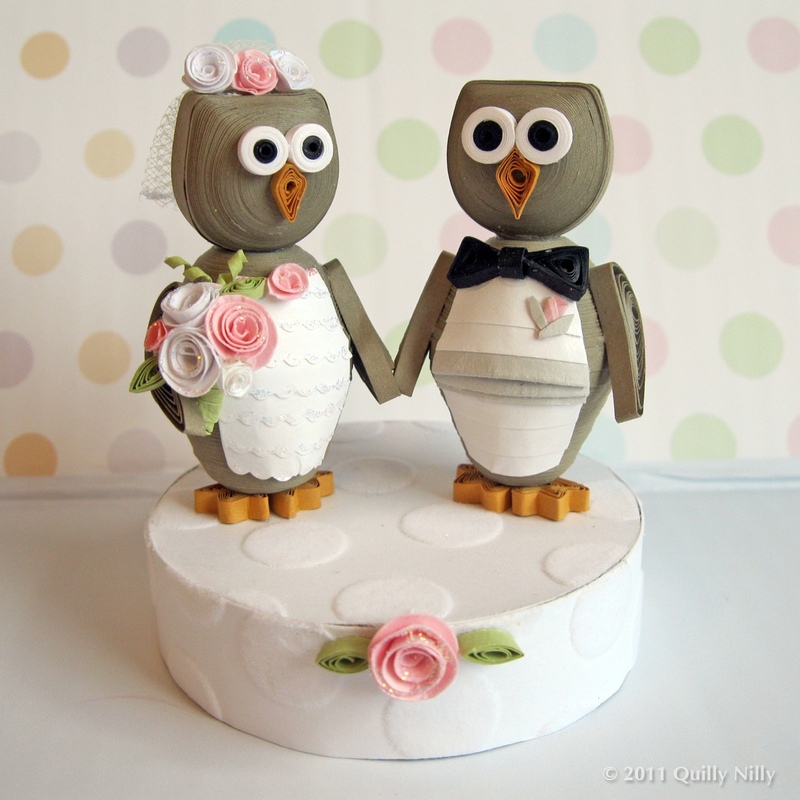 Lovely owls! And the roses are so beautiful! I have just had such a fun time looking at all of the fantastic creations you have been making! I love the little owls! Your skill at quilling is perfection! WOW! They are amazing, I love theme.Lovely work.